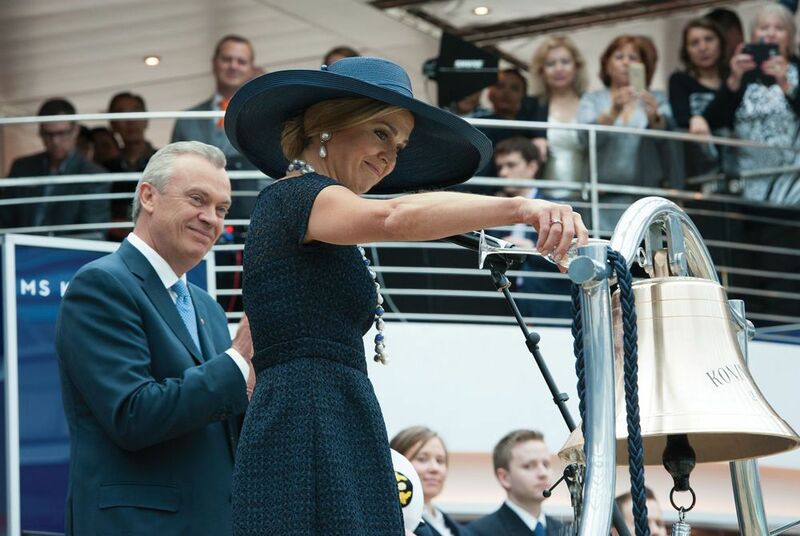 Her Majesty Queen Máxima started the ceremony by blessing the ships bell, by pouring a glass of champagne over it, a time-honoured tradition whenever a new ship is added to the Holland America Line fleet. 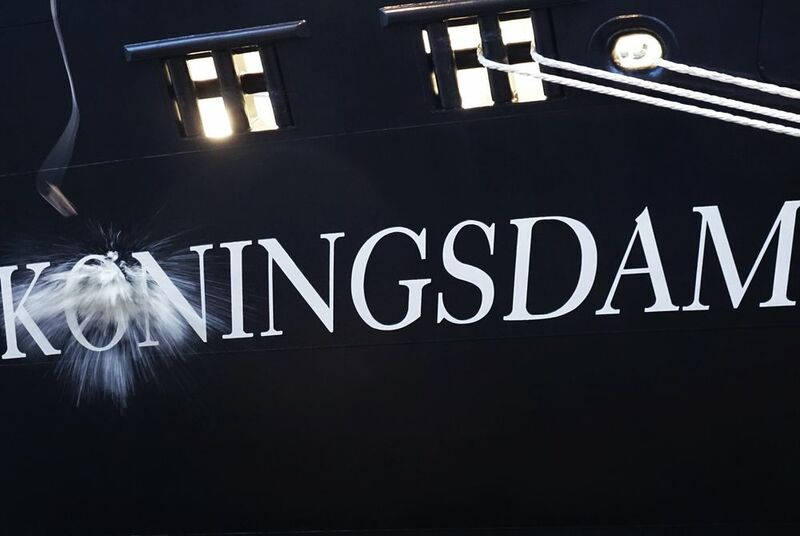 Next, the ship was officially christened during a ceremony where Her Majesty Queen Máxima pulled a rope to trigger the traditional champagne bottle break on ms Koningsdam’s hull. 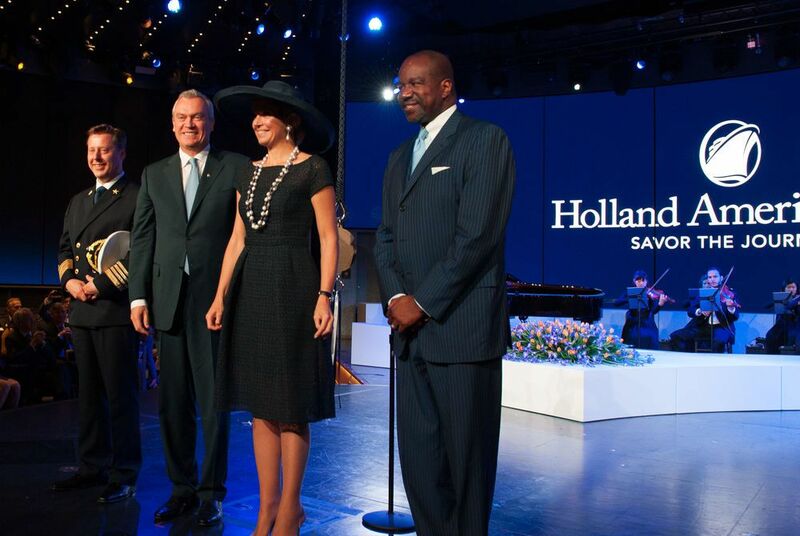 Following the ceremony, a gala luncheon was held on board in addition to shipwide celebrations throughout the day. 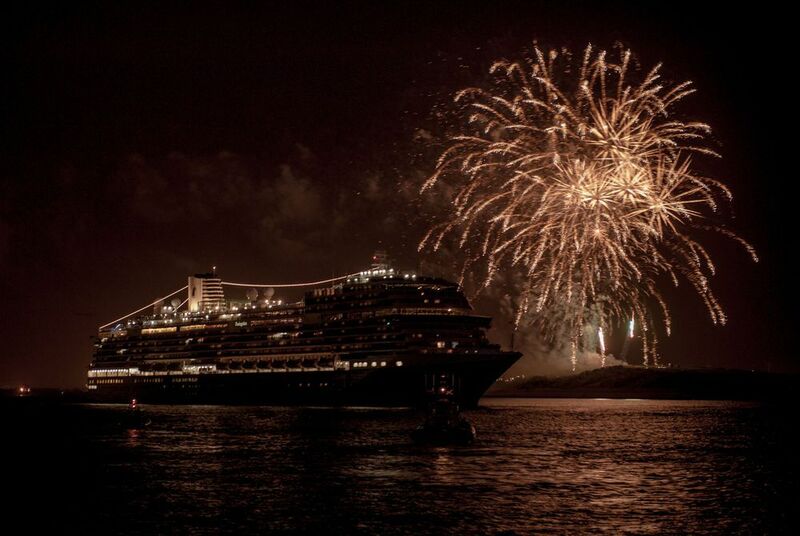 In the evening the ship set sail for Amsterdam, the Netherlands, and fireworks lit up the sky as Koningsdam passed Hoek van Holland.